Lawn service providers in Ottawa are all too familiar with white grubs – a common lawn pest known to emerge during early June. After continuously munching on your lawn and garden, these worm-like grubs grow into adult June beetles that can wreak havoc on your lawn long into the summer months. 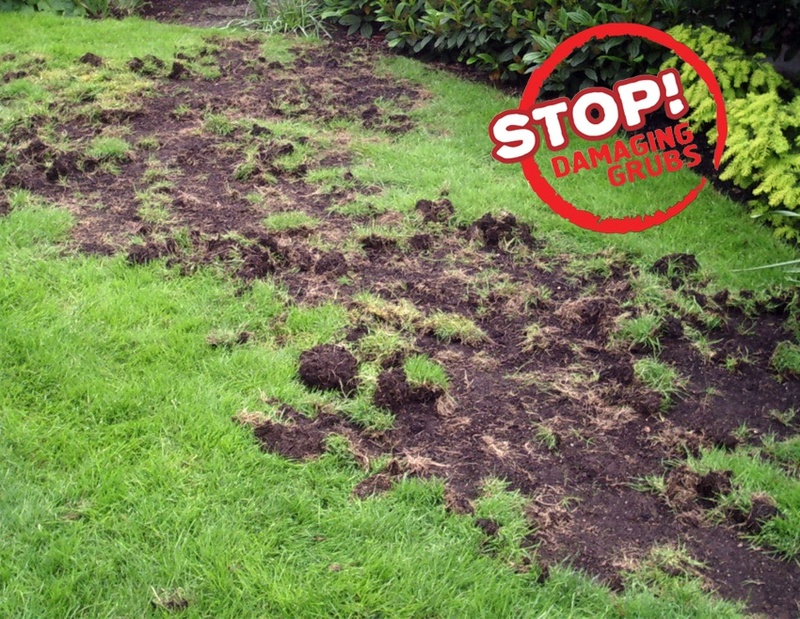 Taking advantage of Ottawa lawn services is the best way to prevent these nasty grubs from taking over your property. What are white grubs and why are they so damaging? As mentioned above, white grubs are June beetle’s in the larval stage. They feed on grass, grass roots and any crops or gardens that you might be growing in your yard. As you can probably guess by their name, the adult June beetle tends to lay its eggs in the soil during the beginning of June, resulting in an infestation just two weeks later. Nutri-Lawn’s Ottawa lawn services will help you combat grubs in the summer months, improving your chances of banishing them from your lawn entirely. You see, grubs tend to burrow deep into the soil come fall as a way to survive the winter. Come spring, these persistent bugs will return full force in order to continue devouring your lawn. Without utilizing preventative lawn services, the avid appetite of even a small number of white grubs can result in significant damage to your turf which can diminish the curb appeal of your home. Adult June bugs lay their eggs early in June, and as soon as they hatch two weeks later, the grubs begin eating at a gluttonous pace. Without taking the proper measures issued by lawn services in Ottawa, they will continue eating your turf, garden and crops each summer of their three-year life cycle. White grubs remain in the larval stage until this third year when they become adults and plant their own eggs; however, the larval are most damaging to your lawn during the second year of their life cycle. The best way to combat mature grubs? Maintaining a healthy lawn. The stronger your lawn, the less of an impact grubs will have on your turf's root system. Nutri-Lawn's Ottawa lawn services, such as irrigation, fertilization and yard aeration, are all designed to help strengthen your lawn fight so that it can defend itself against grubs. Nematodes – These microscopic roundworms use grubs as their hosts, eventually destroying them once their eggs have hatched. Applied in large quantities (over 71 million per 1000 sq ft.) Nutri-Lawn’s Ottawa Lawn service team tests all batches of nematodes to make sure they are alive, energetic and ready to protect your property. Irrigation Systems - Proper watering will keep your roots strong. Since grubs prefer to lay their eggs in thin grass, this is a very important lawn care concern. Core Aeration – This Ottawa lawn care service removes small cores of soil from the lawn to minimize thatch and encourage a dense root system. With over 20 years of providing lawn services in Ottawa, the experts at Nutri-Lawn are available to help you manage a white grub infestation. Contact our lawn service team at 613-739-3399 or visit our contact page.